Brian Joseph Panfil (CRD #4326407, Chicago, Illinois), who was a registered representative of Caldwell International Securities and Ridgeway & Conger, Inc., is now barred by the Financial Industry Regulatory Authority (“FINRA”) from acting as a broker or associating with FINRA member broker-dealer firms pursuant to a Default Decision issued by a FINRA Hearing Officer. (Department of Enforcement v. Brian Joseph Panfil, Disciplinary Proceeding #2015045549301, April 6, 2018). Panfil was found liable for engaging in unsuitable mutual fund switching, forgery, and exercising unauthorized discretion to effect trades in customers’ accounts. The Default Decision stated that from April 2012 to March 2015, Panfil executed a total of 24 transactions involving the switching of mutual funds in four accounts, where he did not have a reasonable basis in believing those transactions were suitable. Prior to effecting the transactions, customers had only held the mutual funds for a mere two-to-three months. Mutual fund switches effected by Panfil reportedly led those customers to pay $27,924.00 in unwarranted charges and fees, mostly profiting Panfil in the process. Apparently, the sales charges and fees associated with switching the mutual funds had eroded the slight benefit afforded to customers by being placed in those new funds. The Hearing Officer indicated that switches of this nature had been unsuitable due to them being incompatible with the long-term classification of customers’ existing mutual fund holdings. Consequently, the Decision stated that Panfil committed violations of NASD Rule 2310, IM-2310-2 and FINRA Rules 2111 and 2010. Moreover, Ridgeway & Conger mandated that registered representatives and the firm’s customers sign and deliver mutual fund switch forms as a prerequisite to switching existing mutual funds with new mutual funds; however, at least three of the customers affected by Panfil’s activities had not completed and signed off on those switch forms; the signatures placed on the forms were not those of the customers. The Hearing Officer found Panfil to have committed forgery in this regard. The Decision also contained findings of Panfil exercising discretion in three accounts without authorization having been provided to him by the customers and the firm. Panfil apparently decided on his own initiative to effect the short term mutual fund switches in their accounts, choosing the funds to buy and sell and even determining the time and price to place the trades. The Hearing Officer found that Panfil committed a violation of NASD Rule 2510. Panfil has also disclosed on FINRA BrokerCheck that on March 13, 2000, he was charged in Fort Collins, Colorado with one count of forgery and one count of theft. (Criminal Docket #2000CR245). Evidently, Panfil pleaded guilty to the forgery charge, and received a deferred adjudication. All prior customers complaints including the current one discussed here, all wrongdoing was denied by Brian Panfil. 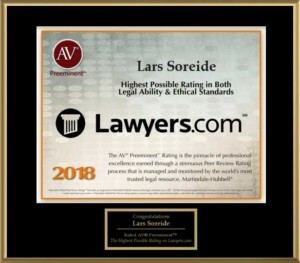 If you have experienced losses from Brian Joseph Panfil or other registered representatives who have traded without authorization or executed trades that have not conformed to your investment objectives, contact Soreide Law Group at (888) 760-6552 and speak with experienced counsel about a possible recovery of your investment losses. Soreide Law Group represents clients nationwide and only charges a fee upon recovery of investment losses.